A nurse manager is in charge of overseeing the nursing department in a facility so that patients at the facility receive quality nursing care in a clean and organized environment. Since so much responsibility lies in the hands of the manager, it is critical that prospective managers understand just what it takes to hold the title. Not only do these nurse administrators where several different hats in terms of business operations, they also promote development and encourage the nursing unit to give the best patient care possible. Read on, and find out more about the role of the nursing manager and how to achieve the skill you need to compete for a position. Nurse managers work more behind the scenes to manage the front line nursing rather than directly with patients. While some managers do roam the floor and speak with patients or their families to discuss more complex issues, it is more common for a manager to handle the business operations within the nursing unit. Since you need skill in both nursing and in business, it can be very challenging to work towards this title. To monitor the quality of care given by front line nurses, the manager will be responsible for several different disciplines that might not be directly related to nursing, according to American Nurse Today. 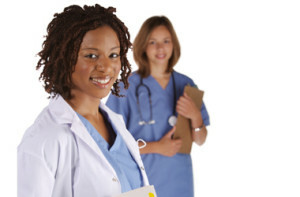 This includes offering professional support, managing operations, maintaining the physical facilities where nursing care is delivered, setting goals, keeping track of organizational goals, building collaborative relationships, advocating HR issues, and helping nursing staff develop with advanced training. Are You a Good Fit For Nurse Management Roles? You need to have the qualities of a nurse leader before you should even start post-secondary or graduate-level training. Some qualities can be attaining school, but the inherent characteristics are also important. All professionals in this role need to be more than just managers, they need to be talented and encouraging leaders at heart. This is why it is important to brush up on communications and on coaching. If you feel like you can keep your head in chaotic environments and you can cope with difficult medical experiences, this could be the right role. You will also need to be flexible, diligent, strong and compassionate to really be an asset in an facility. It takes a lot of experience and a lot of education to go from a nursing professional to an administrative manager who is a nurse and has strong business acumen. To gain all of these business skills and nursing skills, you should first earn your RN licensure by studying for your Bachelor of Science degree. After doing this, you will need to enroll in an advanced degree program to gain attention and to generate leadership skills. Many will earn their MBA in Healthcare Administration to get these leadership skills and to develop their business acumen. There is a growing nursing shortage and this is especially true with nurses who have completed advanced training, according to Discover Nursing. This shortage creates benefits for those who would like to work in management. If you are ready to take on the responsibility and you would like to coordinate care all while managing a budget, get experience, show off leadership skills, and advance your education to become a nurse manager.